It’s episode #103 and we’ve got plugins for Modifying Admin Menus, Watermarking Images on the fly, Gravity Forms Importers, Anti-Malware, Enhanced Author Boxes and a way to add Joomla Style CMS content modules to WordPress. 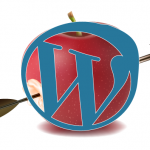 Coming up on WordPress Plugins A-Z. WordPress has become easier and easier to use over the past 5 years and as we know the easier it is to use the easier it becomes to break. Do you find that you suddenly need some quick WordPress support & need to figure out that one simple task? Correct that simple layout issue or has something broken and you have the white screen of death. Or maybe you have received notification of a hack on your site? Visit me for Emergeny WordPress Support at WPPro.ca/Emergency for some quick tips or contact me and I can help you with live support via screen sharing or phone. Dont forget to head over to Social media camp Victoria @ http://socialmediacamp.ca/ and support me by commenting on my posts as linked below or even retweet them as it is a contest. William Shatner, famed author, actor and celebrity has just launched his personal web site using WordPress. Transport yourself to http://williamshatner.com for a closer look. This is not a simple upload of the file you purchased just an extra step, unzip the package you got and do one of two things either upload the unzipped files of the folder fanciest-author-box or use the enclosed zip file for auto install and upload. Once installed and activated you simply need to configure it up by going to your profile and adding the necessary info. It make a very nice looking author box and add the features for presenting yourself with your social media information. While this is a freemium plugin the free version is probably what most people will need. I discovered this plugin while working on a particularly difficult site that was infected and was having trouble finding the hack. After install you will need to register this plugin to get the full effect of it. It only takes a moment and is done in the configuration area. When you perform a scan you will want to limit it if you have any non WordPress directories in your html directory. I found this to be a pretty good scanner and found a couple issues I had not seen before, so if you're hunting something down or just looking for a preventive measure then give this one a try. With Customize WP-admin you can customize your WP Admin. You can easily remove and menu or submenu from the admin sidebar. You can also change the footer at wp-admin. Customizing this way your WordPress experience. With Customize WP-admin you can also change the image and link of WordPress on wp-login. This is an equivalent to Joomla's module positions. Create module positions, assign content and choose on which pages it will be shown. If you have a site with multiple subpages, you might have some positions in your template where you probably want to manage individual content (like a sidebar, a footer, a banner or whatever). The WordPress widgets can display content in specific widget-positions, but you can't tell WordPress to only display your content on a certain page – That's where my plugin comes in. You can create different module positions, assign content and choose on which pages it will be shown. If you use WordPress as a CMS, this will be very helpful. First, you can create different module positions. Rename these as you want. To put a module position in your template you can easily copy & paste the shortcode right next to the position's name. if you have already created content, you can drag and drop these around to change their order. Now, you can create content for your module positions. You can choose on which pages, categories or posts your content will be displayed. For this information your custom menus will be loaded (which are defined in your template). If there are categories with posts in your custom menu, click the “+”-button to show them. You also can choose on which posts your content will be displayed here. Change your standard HTML-markup. If you click on “Reset” in your moduleposition-posts, this will be loaded. Change the order of posts in the drop-down menus of your categories. That may be useful if you have a lot of posts in a category and you want to find a special post. 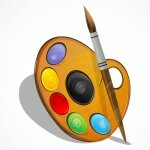 This plugin allows you to add watermark to your images “on the fly”. Watermark was added while image is uploaded. You can choose image sizes on which watermark will be applied.